I thought it would be simple. 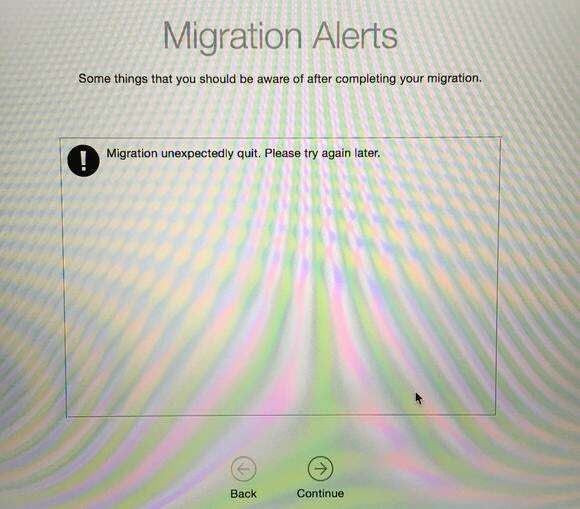 I mean, how hard is setting up a new Mac? Just a few days ago, I’d gone through cloning a Mac mini’s internal drive and duplicating it onto an external SSD with no problem. How could a MacBook cause me difficulties? Turns out, in plenty of ways. While I’d anticipated many of the issues with a device with a single port using USB-C, a standard that is very thinly in the marketplace so far, both I and executive editor Susie Ochs were flummoxed by what we experienced. Here’s my rundown (with interjections from Susie) that may help you with similar troubles—if not amuse you. But that wasn’t the case. Orders were accepted for some models right after midnight with shipping times a couple of weeks out unless one paid the $10 expediting fee, which pushed home delivery up to April 15. Some models appeared to sell out almost immediately, with delivery dates weeks out. Missing in action: Apple's multiport AV adapters for the new MacBook. Though we were surprised about the lack of in-store stock, Apple’s new models are sometimes highly supply constrained, and often airshipped directly from China to meet shipping dates. Fair enough. But what we discovered when our computers arrived on Wednesday was actually rather appalling. The two USB-C multiport adapters—the Digital AV Multiport Adaptor for HDMI and the VGA Multiport Adapter—announced at the same time as the MacBook are the only way currently to use a USB Type A adapter while keeping the laptop plugged in and charging. Apple hasn’t announced any DisplayPort adapters, odd given their previous focus on Mini DisplayPort, but I was able to purchase a USB-C to full-size DisplayPort cable from Google. On Wednesday, we went to order Apple's adapters for testing, assuming we could pick them up in an Apple Store. However, they’re listed as available in…4–6 weeks. This seems like epically bad planning on Apple’s part. Only a subset of MacBook buyers will need HDMI—far fewer, VGA, except for backwards compatibility with projectors—but not having them available seems just peculiar. I have set up many a Mac, especially in testing, where I have to wipe and restore and start over to check out problems. But both Susie and I experienced glitches that we have to hope aren’t common. Consulting with colleagues, however, makes us think they aren’t unicorns. I wanted to use Migration Assistant to do a Mac-to-Mac copy from my 2011 MacBook Air to the new MacBook. I therefore bypassed all the setup options, but you’re required to create one account before starting. Remembering from previous mishaps, it’s critical that the account name you set up not be the same name as any of the accounts you’re migrating. I typed in Glenn Setup (glennsetup) with the plan to delete it later. When I clicked to continue, a rainbow spinner appeared. Many minutes later, it was still there. Your MacBook supports USB Target Disk Mode when you use it with a compatible, full-featured (“super speed”) USB-C cable. Note that the USB-C Charge Cable included with the MacBook does not support USB Target Disk Mode. Target Disk Mode has almost always required either FireWire or Thunderbolt. The MacBook lacks both, and it’s impossible Thunderbolt will be supported via USB-C, while FireWire is unlikely though theoretically possible. If you boot the MacBook holding down the T button, you do indeed see a USB symbol fill the screen indicator that the computer is acting as a drive. But it won’t mount on another Mac. It doesn’t appear in the System Information utility as being attached to the USB bus, even. The older laptop appeared, but was unavailable—a yield sign, when clicked, informed me the MacBook Air was using a newer OS. Yes, the MacBook was put in production before 10.10.3 was released. I continued in the setup process with migrating, and prepared to download necessary updates—2.1 GB for all of them, which is five hours with a 1Mbps connection and about 30 minutes with my cable modem speed. Taking a photo of my screen didn't work so well, but neither did Migration Assistant. That is, until it failed each time I tried. The MacBook Air appeared ready, the MacBook willing, but the MacBook pooped out with an error each time. I lacked two USB ethernet adapters, so that wasn’t an option. The backup went fine. I had a USB bus-powered 500GB drive, and the MacBook Air has an 250GB drive. Since it’s a 2011 model, it only supports USB 2.0, Thunderbolt, and 100 Mbps ethernet (via a USB adapter). Despite Time Machine suggesting the backup would take about three hours, it took four. The MBA is clearly hardware constrained from using USB 2.0’s full throughput, which should have been under two hours. Yay, the one adapter Apple had in stock would allow me to connect my Time Machine drive's micro-USB cable. Then I went to plug the USB drive into the MacBook and realized my mistake. While I have a couple of USB-C adapters, I’d forgotten the drive used micro-USB; I had been expected to plug a USB Type A jack into one end. A quick trip to a nearby Apple Store later, and I had a USB-C to female Type A adapter, which will let me use any Type A connections. 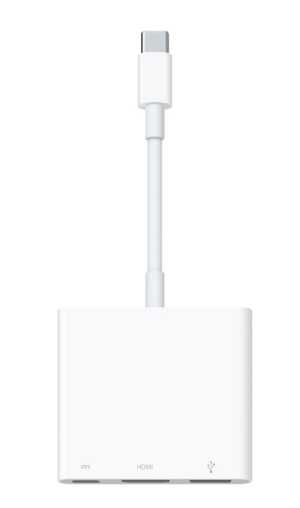 It’s the only USB-C data item Apple currently has available. When plugged in, the drive didn’t power up. I tried other connections with the adapter and other cables, including ethernet and DisplayPort. Nothing. The MacBook could receive power via the included 29W adapter and via a USB port on my MBA, but nothing data-related worked. Finally, everything was aligned, and the drive mounted and Migration Assistant accepted it. Except that with no external battery indicators and the Migration Assistant running, I couldn’t tell how much power was left. I’d charged it to 100 percent, and figured even with hours of USB copying, it would likely consume only a fraction. USB-C is definitely an up-and-coming standard, and we’re seeing more shipping products and announcements for cables, peripherals, and accessories that incorporate it every day. There will soon be a true ecosystem of peripherals, and we won’t be reliant on Apple’s not-yet-available adapters. But you’ll certainly want to read the labels carefully on whatever you buy. For instance, Apple’s included USB-C to USB-C cable is charging only—it omits some of the internal wiring for cost and slimness, and cannot be used to transfer data. 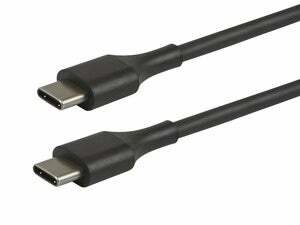 Instead, you’ll need a cable marked for data or sync and charging, such as the upcoming USB-C to USB-C from Monoprice. 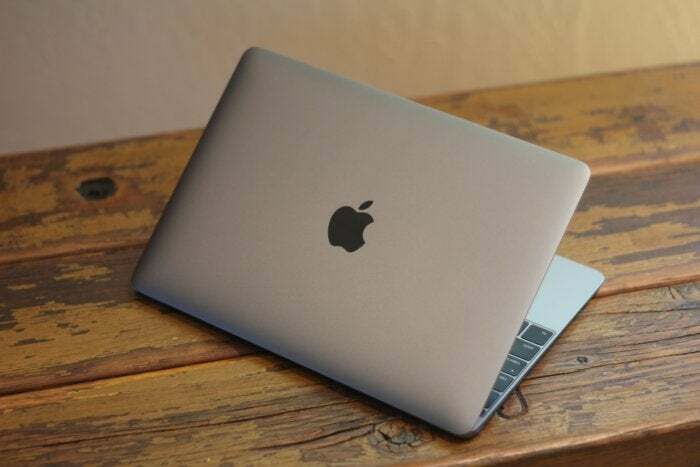 The MacBook is ready for business, but the bumps on the road were bigger than we expected. Have you run into any problems? Let us know in the comments.